It is unlikely that there is a recipe that is closer to my heart than the original of this recipe. It is my Grandmother's shortbread recipe, and for me, embodies everything that is the holidays. My Grandparents used to live right on the beach, and we used to go and stay with them for six weeks every summer. I am the second youngest of 18 grandchildren, and my Grandma was most definitely the head of the family. I have so many incredible memories filled with noisy family gatherings, lots of laughs, and loads of food. Coming from a big family who always had communal meals most definitely cemented in me that food was made for sharing with those who you love, and is something that will be with me for the rest of my life. My Grandma was the biggest advocate of showing love through food. She was not only an incredible cook, but you could tell that what made her happiest was providing food to those she loved. And her shortbread. My goodness, it really was something else. There was always a big jar of it in her pantry, and it seemed that it was always full. It used to come out every time a cup of tea was had (which in my family is fairly often). It was an absolute favourite with all members of the family. An even bigger treat was being allowed to help her make it. I got some of my love of baking from her, with many many happy hours spent standing on a chair pulled up to the bench, eating as much of the mixture as I could while helping mix the bowl. 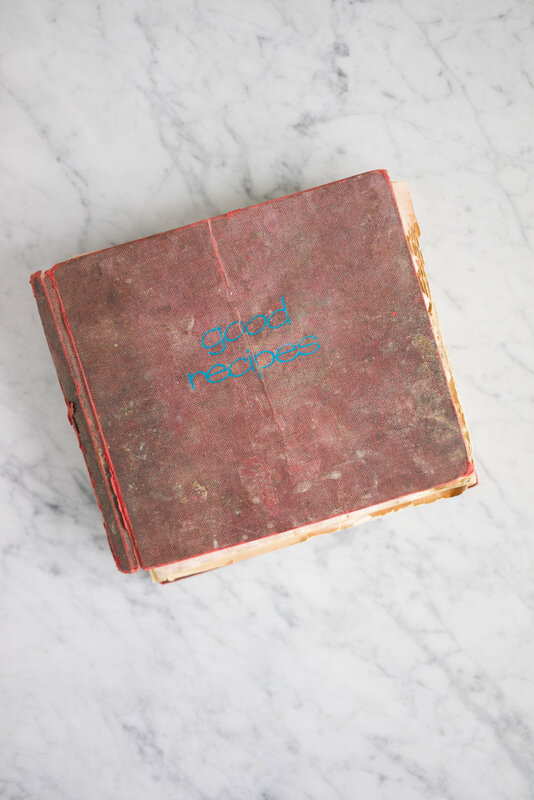 I now have my Grandma's recipe book, and it is easily one of my most treasured possessions. Most of the recipes are hand written in her loopy writing, and there is something about the way that the method is written out that means that when I read it back to myself, I can hear her saying it. This shortbread recipe actually came from my Great Great Grandmother. I have tweaked it slightly with the addition of Earl Grey, which adds a delicate floral flavour without being too overpowering. The earl grey flavour comes from very finely ground tea leaves, accented with a little bergamot extract (which is totally optional, I am a die hard earl grey fan so love having a strong flavour in there). I initially tried infusing the butter with tea, which produced a crazy green butter, but also shortbread with a weirdly wet exterior, which I think was due to the tea absorbing the water in the butter, which changed the consistency of the butter, resulting in a strange shortbread. Ground tea and bergamot extract yielded a much nicer finish. For regular shortbread which is just as amazing as it's earl grey counterpart, omit the ground tea and bergamot extract. 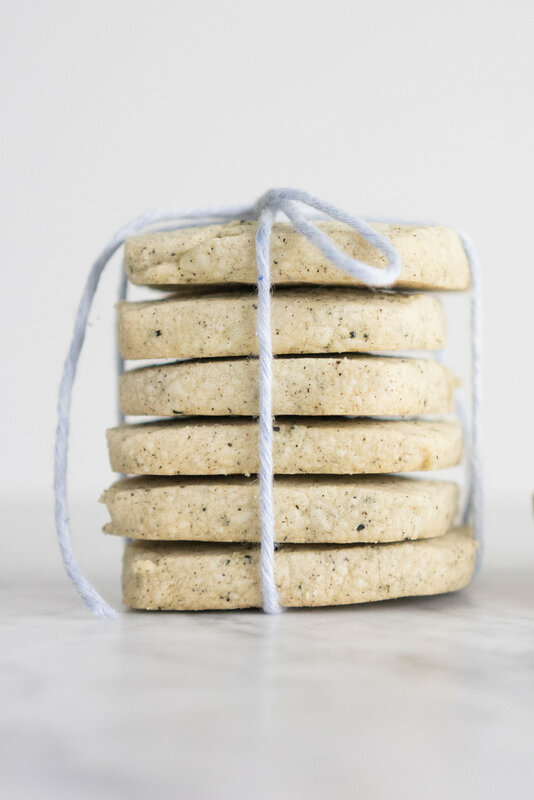 I am so excited to be participating in the #calmandbrightcookienight virtual cookie party, which is hosted by the lovely Natalie and Holly of The Modern Proper! This year over 30 bloggers are participating, and you can check out the other posts either on TMP's own post, or by searching the hashtag on instagram. Add the flour, corn starch and ground tea, and mix until combined. It will look crumbly to begin with, but the dough will soon come together. If you are using bergamot extract, add a 1/4 of a tsp at a time, mixing well after each addition.